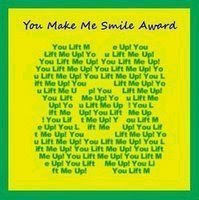 First thing this morning I had an email from Carrie at Oak Rise Cottage bestowing a "You Make Me Smile Award." I'm so honored...I started this blog as kind of a journaling exercise, and even though it's a public forum, I was so surprised to see that people actually visit and read my ramblings. Thank you Carrie; I really appreciate your kindness. The Inspired Room-Sweet Escapes (especially the current one) are wonderful! Cherry Hill Cottage-For home dec, recipes, and decorated letters from Mika. My Cozy Home-great writing, and she's a mystery lover! 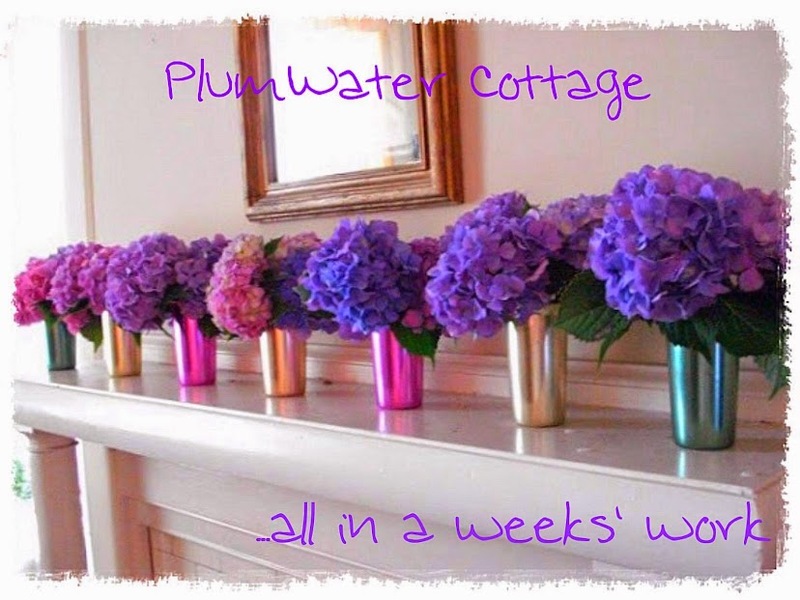 My Romantic Home - Cindy has a wonderful decorating style; her blog is always an interesting read. Daisy Cottage-I love this house...Kim has such a creative decorating style with bold colors and her pictures of Dear Daisy Cottage are exceptional. Chez Fifi- Good Fifi or Bad Fifi, she's always an interesting read. How does this woman do it? French Poppy-Nice art, good writing...a joy to read. The Feathered Nest-Manuela has a lovely blog with great photos...and a wonderful new screened porch. Little Red House I love the book quotes Mary pulls from those old books. Very amusing! Her tour of her town was wonderful. The Decorated House - Donna has some gorgeous items in her Etsy shop; I love the Cottage Fairy and her Halloween items. 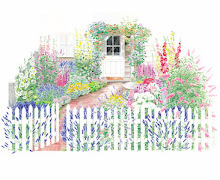 Lavender Hill Studio-Penny creates beautiful cottage-y chic mosaics. Her blog and website are beautiful. Fresh Vintage-You must watch this woman's Vlog...not only does it make you smile...you actually laugh out loud! Her weekly yardsale/thrifting finds make me a bit jealous; we never have anything that good around here! Hi Teresa! First off, Congratulations on the award! Thank you so much for tagging me with all those other wonderful ladies. I'm so touched that I inspire you and make you smile! Thank you. Thank you so much! I am honored to be among such lovely ladies! And thanks so much for introducing yourself so I could find your blog as well! Thank you, how very sweet of you. It's wonderful that we can give and find smiles in Blog Land! Congrats on the award! And thank you so much for honoring me with it. 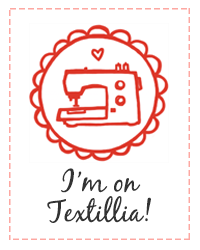 You put me in a class of wonderful bloggers! Thank you! Gosh, I feel honored to be on that list! Thank you so much! Your favorites are mine too! Thank you VERY much for those extra nice words and for thinking of me - what a sweetheart YOU are! Have a beautiful day Teresa!